Historian Jaya Jones finds herself on the wrong side of the law during an art heist at the Louvre. To redeem herself, she follows clues from an illuminated manuscript that lead from the cobblestone streets of Paris to the quicksand-surrounded fortress of Mont Saint-Michel. 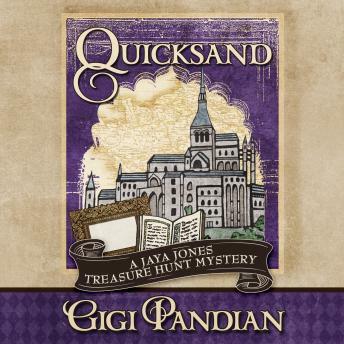 With the help of enigmatic Lane Peters and a 90-year-old stage magician, Jaya delves into France's colonial past in India to clear her name and catch a killer.